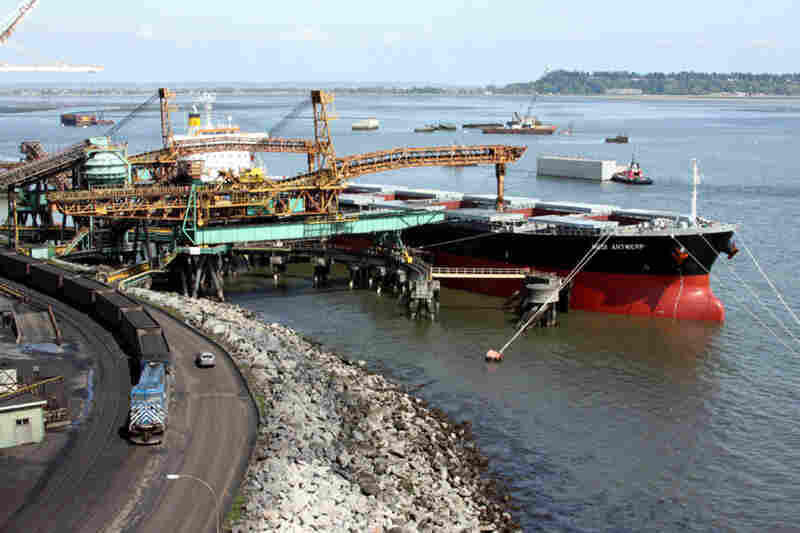 A Local Fight Against Global Coal In A Northwest Town Plans are afoot to build new coal terminals on the West Coast to ship the lucrative commodity to China. 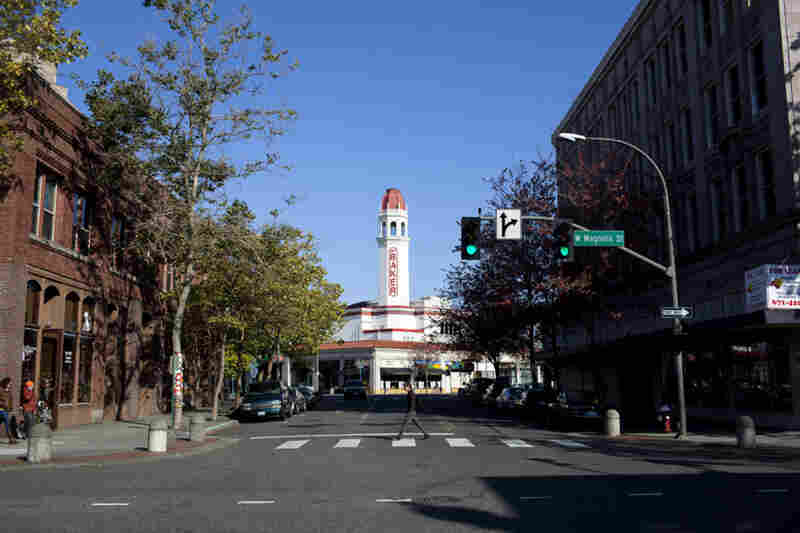 But the mayor and activists in Bellingham, Wash., want to keep the city's green image and move beyond its industrial past. 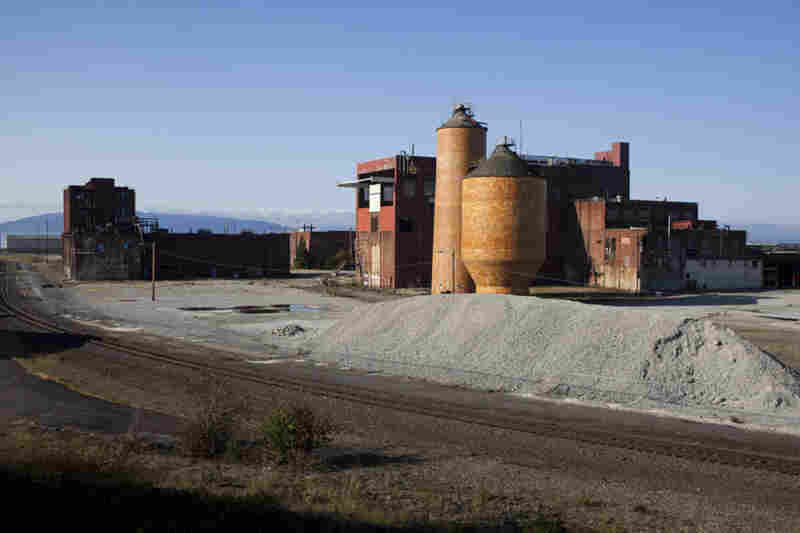 Bellingham, Wash., a progressive college town of 81,000, could soon be home to a new coal terminal. Developers want to ship the lucrative commodity to China, but some locals are worried about the potential environmental impacts. About 35 miles north of Bellingham, just across the border in Vancouver, B.C., the Westshore Terminal offers some sense of what the proposed terminal would be like. Trains carrying coal rumble into the terminal around the clock. The coal comes primarily from Canada, but increasingly the trains are delivering coal mined in Wyoming and Montana. It's a dirty operation: As the train cars snake through a building, a large machine called a "double dumper" tips over and empties the coal, two cars at a time. Conveyors load the coal from the trains onto ships bound for Asia. Coal produces huge amounts of carbon dioxide when it's burned, and federal climate policy is silent on this potentially large source of emissions. The port in Vancouver juts out into the Strait of Georgia on an artificial island. Wind kicks up coal particles from open conveyors and coal piles, and carries it out to sea. The port is currently undergoing a $5 million renovation to help mitigate that. The proposed port in Bellingham, backers say, will be more environmentally friendly. Bellingham Mayor Dan Pike is opposed to the coal terminal despite the jobs and development it would bring. "We've built a reputation over the past few decades as a place that values sustainability," Pike says, "and there are few things that are as anti-sustainability as coal is." Opponents of the Bellingham coal terminal are also worried about the inevitable increase in train traffic through town — the terminal could bring in a train almost hourly. Plans call for building the new terminal in an old industrial area called Cherry Point, just north of the downtown area. Mayor Pike says he wants his city to move beyond its industrial past. Some supporters of the proposed terminal say that even if local opponents do block the project, that wouldn't necessarily stop the coal train traffic. The rails through Bellingham continue on to the coal terminal in British Columbia. 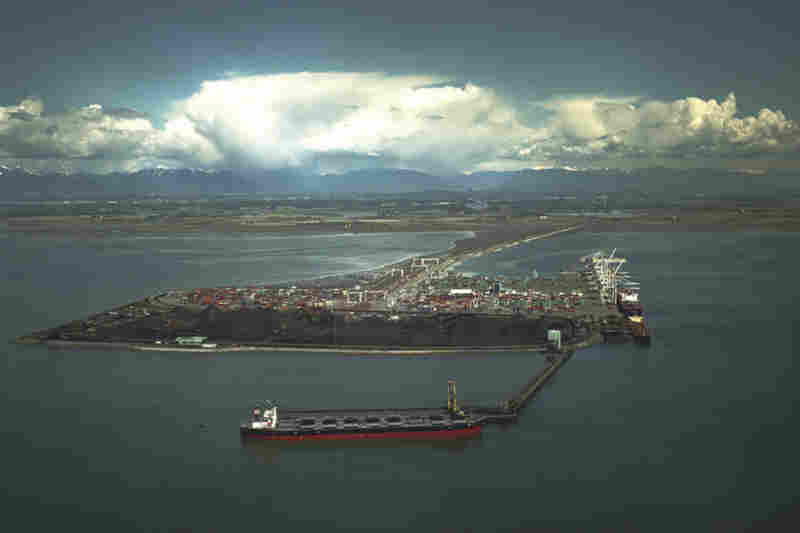 One fight is taking place over a proposed terminal near Bellingham, Wash. And if you want to get a sense of what the proposed coal terminal there would be like, visit Westshore Terminals just across the border in Vancouver, B.C. Trains a mile-and-a-half long rumble into this port, day and night, snaking through a large building. There, the trains roll onto a device that tips the coal cars over, two at a time, with the ease of a 5-year-old playing with a toy train. Most of the trains haul Canadian coal, but increasingly the trains are arriving from Wyoming and Montana, loaded with coal that will be burned in Asia to make electricity. It's almost inconceivable that there would be a plan afoot to change this part of the world to a coal export facility. It seems ironic or cruel, or misguided at best. 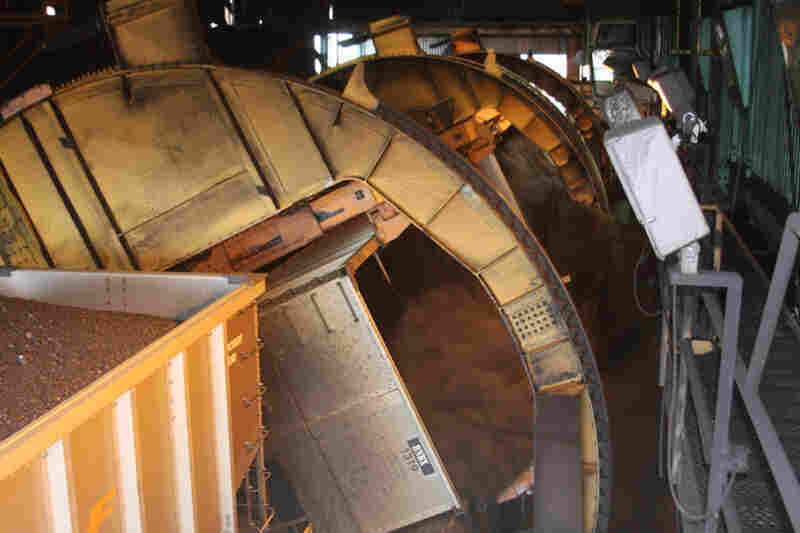 The coal moves from the dumping station up to open conveyor belts. Some of it gets piled up in giant stacks; some gets trundled over to waiting ships. On this day, coal is being poured into a ship bound for Thailand. Denis Horgan, the vice president and general manager of Westshore Terminals, takes us on a driving tour of the huge artificial island, which was built in the 1970s. We dodge and weave around some construction crews who are upgrading the facility. Right now, coal dust can fly off the open conveyor belts and blow into the sea, but that will eventually be put to an end, Horgan says. "We've embarked upon a very heavy-duty solution here," he says. "It's about a $5 million solution to contain any dust that might come off." Even with decades of open conveyors spreading coal dust, there is surprising marine life just offshore. Diving ducks called scoters congregate just offshore, and Horgan points to red floats nearby — markers for crab traps, he says. "There's a lot of salmon out here in the water. You see orcas going by." The dusty coal piles also need to be managed so they don't simply burst into flames — a phenomenon called spontaneous combustion. "The best way to deal with spontaneous combustion is to compact the product or turn it over quickly. And that's what we try to do," Horgan says. At the end of our tour, Horgan asks me to roll up my window so we can drive through the car wash that's right on site. But even after that rinse, coal dust still clings to the van. Coal is a dirty business — the mining, the handling and ultimately the burning. And that is all very much on the minds of people 35 miles across the border in Bellingham, Wash.
Steve McMinn and Julie Trimingham, with their son. 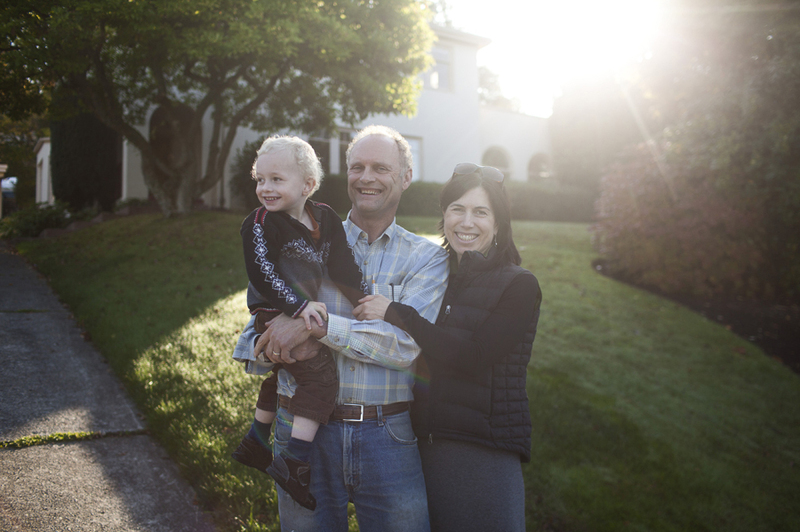 Trimingham's family has lived in Bellingham for generations, and she now finds herself stepping up as a community activist, opposing the proposed coal-export terminal. Steve McMinn and his wife, Julie Trimingham, are at a child-filled park that's sandwiched between the shoreline and the railroad tracks that run right through town. Trimingham's family goes back generations in Bellingham, and now for the first time she finds herself stepping up as a community activist, opposing a proposed coal-export terminal up the coast at the industrial site of Cherry Point. She's concerned about impacts on the immediate environment of the terminal, as well as the inevitable increase in train traffic through town. "There would be a train on the tracks at least once every hour, day and night," she says. "So there's the noise and the pollution. The diesel particulate matter." She wonders what it would mean if emergency vehicles had to wait more often at the crossings. "And we're not sure how the intensified rail usage would affect the businesses on the wrong side of the tracks or close to the tracks." 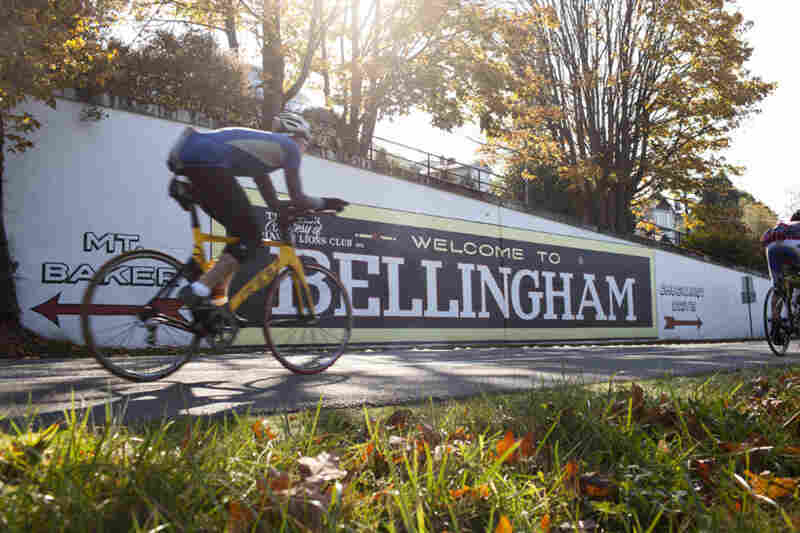 [Bellingham has] built a reputation over the past few decades as a place that values sustainability. And there are few things that are as anti-sustainability as coal is. It also just seems wrong for this progressive college town on sparkling Puget Sound. "It's almost inconceivable that there would be a plan afoot to change this part of the world to a coal export facility," Trimingham says. "It seems ironic or cruel, or misguided at best." And it's not just about quality of life — it's about the future of the planet. But the reality is there's no other way to engage in global environmental issues like coal exports without focusing on the local impacts. After all, it's perfectly legal to dig up coal, transport it thousands of miles by rail and ship, and burn it for electricity. But climate change is pretty far down on the list of concerns they bring up in their community. "Global warming is an issue most people aren't interested in," McMinn says. "People are interested in their own lives. So McMinn knows this is where "think global, act local" comes into play. "We both think that the rail corridor is the place to stop it." 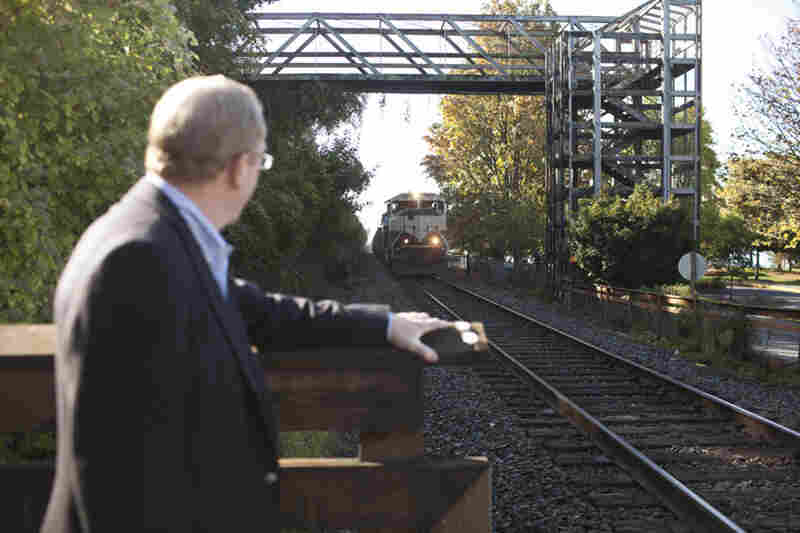 Bellingham Mayor Dan Pike stands in front of a passing coal train at one of the major parks in downtown Bellingham. The proposed coal port is a big issue politically, and Pike is fully opposed to the port development. At the moment, the train line through town is usually a minor inconvenience — a throwback to the days when Bellingham was an industrial town. They actually mined coal nearby and shipped it off to power plants. Mayor Dan Pike meets me at another waterfront park near the tracks. He says he wants his city to move beyond its industrial era, and the coal terminal doesn't fit that new image. "There are some folks advocating for it because, like a lot of communities, we really could use good jobs," Pike says. "But we've also built a reputation over the past few decades as a place that values sustainability. And there are few things that are as anti-sustainability as coal is." These days, the Bellingham waterfront is dotted with sailboat marinas. The city is planning to turn 210 acres of old industrial development into a huge waterfront attraction. 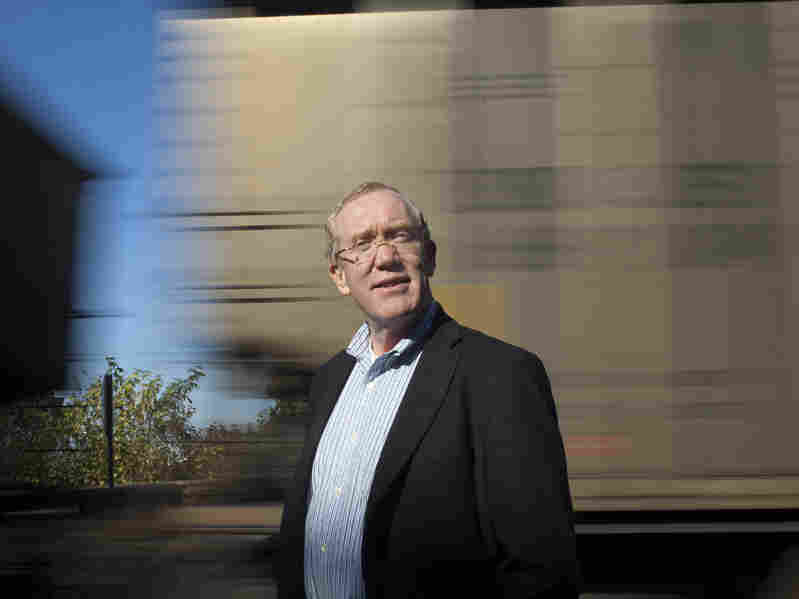 Pike says having trains rumbling right past is hardly a draw for tourists. The question is: Will Canada reap the benefits of the jobs and the tax revenues? If we built our facility and we can get the coal to export through Cherry Point, then Whatcom County [Wash.] can generate the jobs and the tax revenues. "Beyond that, because of our reputation as a place that values sustainability, we've had a lot of businesses that choose to locate here because of that reputation," Pike says. "And things that damage that reputation damage our economic viability as a community." Bob Watters, in the Seattle office of SSA Marine, says the terminal will be much more environmentally sensitive than the one in British Columbia. For one thing, all the conveyor belts will be covered, and the coal piles will be fenced off from the wind. "We're going to have a buffer over a half a mile that our storage is going to be away from the water," he says. 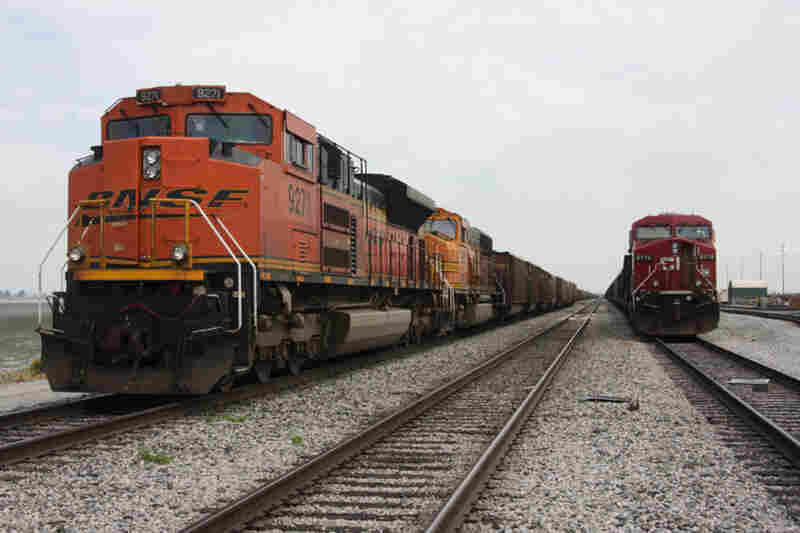 Besides, he says if the locals do block the terminal — which could also ship bulk commodities other than coal — that wouldn't necessarily stop the train traffic. 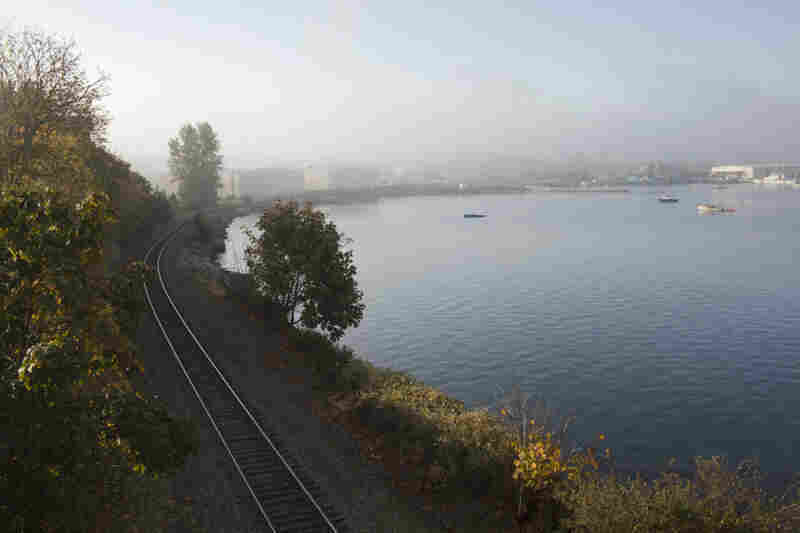 The rails through Bellingham continue on to the coal terminal in British Columbia, and Westport is considering expanding its facility. "The question is: Will Canada reap the benefits of the jobs and the tax revenues?" Watters asks. "If we built our facility and we can get the coal to export through Cherry Point, then Whatcom County [Wash.] can generate the jobs and the tax revenues." The project is now embarking on a multiyear environmental review, and will ultimately be put to a vote of the Whatcom County commissioners. Part two of this report will look at what a big increase in coal exports could mean for global carbon emissions — and American utility bills.